Ok, if you follow me on any other social media, you'll know that I'm currently off having an adventure in China this week, trying to cram as much sightseeing as possible into just 7 days (and if you don't follow me on social media, my links are all in the sidebar!). This doesn't leave much time for blogging - though there'll be plenty travel posts about it next week! - so I've written a few posts in advance, and with the limited time I had, you're getting another tag post today! 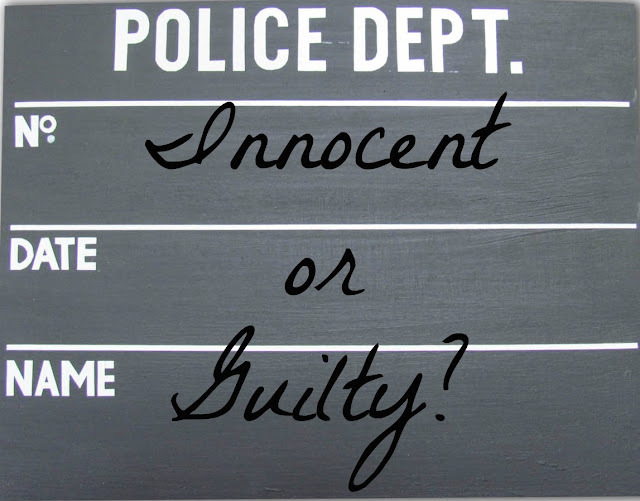 This one I found on Tumblr, and it's super simple - I just have to declare whether I'm innocent or guilty of doing these things! It's a quite a long list by the way, and some are a bit stranger or more controversial than others! Danced on a table in a bar? If dancing on the bar counts, guilty. Had feelings for someone you can't have? Guilty probably, though I can't think of anyone specific right now. Been in a band? If the school ceilidh band counts, guilty! Stalked someone? If we're counting on Facebook, guilty. Otherwise innocent. Been totally drunk on a holiday? Guilty. Very, very guilty.